For those interested in experiencing a slight deviation from Scotland’s brilliant scenery, a trip to the site of the last battle to be fought on British soil would not go amiss. 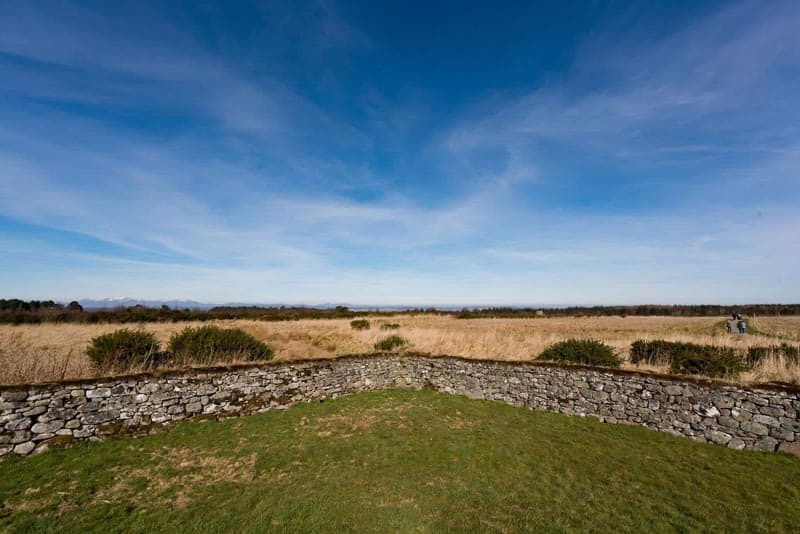 The history-steeped Culloden Battlefield is a somber site that overlooks the city of Inverness in the Scottish Highlands. It’s in many ways an emotional, affecting destination that invokes a bit more contemplation than your average tourist stop—but nevertheless, it is well worth a visit. 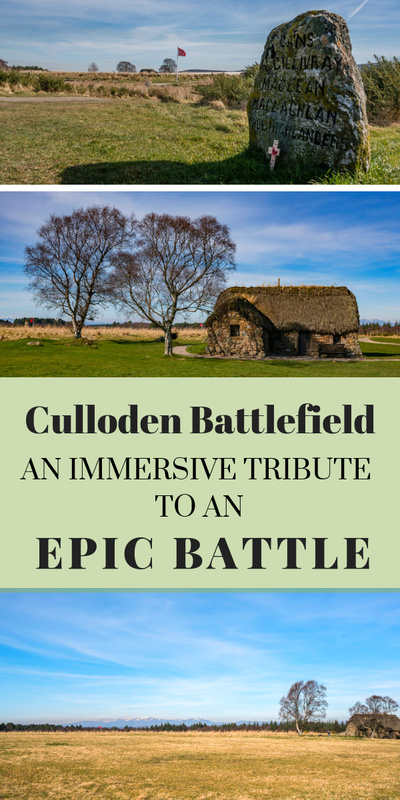 What is Culloden all about? 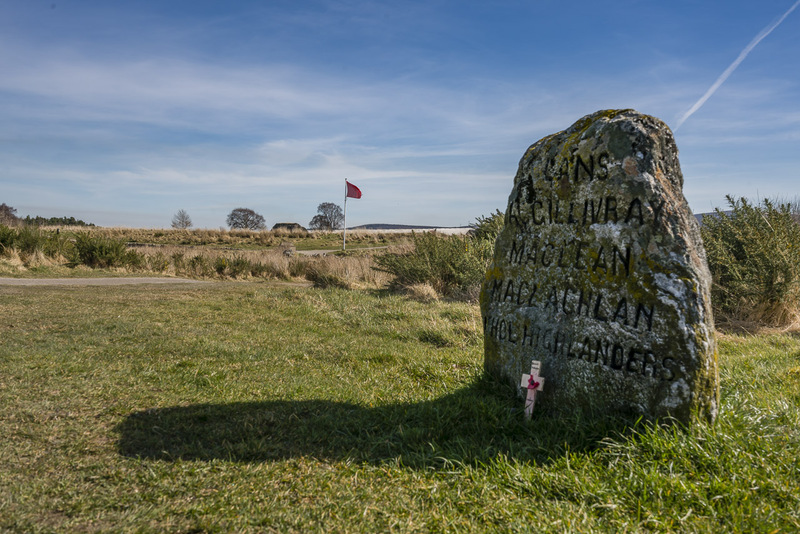 Culloden Battlefield is the historic site of the last battle to take place on British soil in 1746. This battle is frequently referred to as one of the most important for Scotland, as it marked the end of the clan system in the highlands. Today, hundreds of people visit the battlefield each year to pay their respects to those who lost their lives on that day. The battlefield is located on Drumossie Muir, near Inverness, and is easy to access from the city. The site comprises a large, rather haunting field and visitor center. 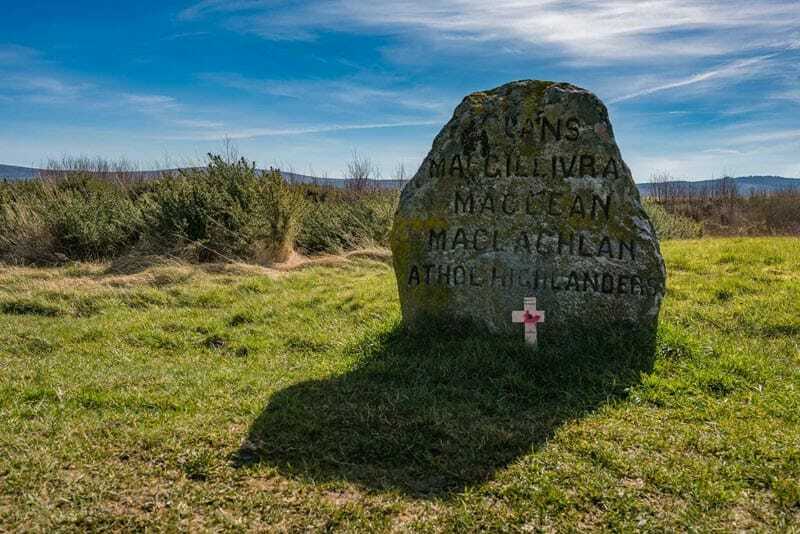 Technically, the whole area is a war grave and not simply a viewing site—this makes for an experience that is at once evocative and crucial to understanding an essential yet grim part of Scottish history. The site itself is run by The National Trust for Scotland, and the information is readily available for visitors. 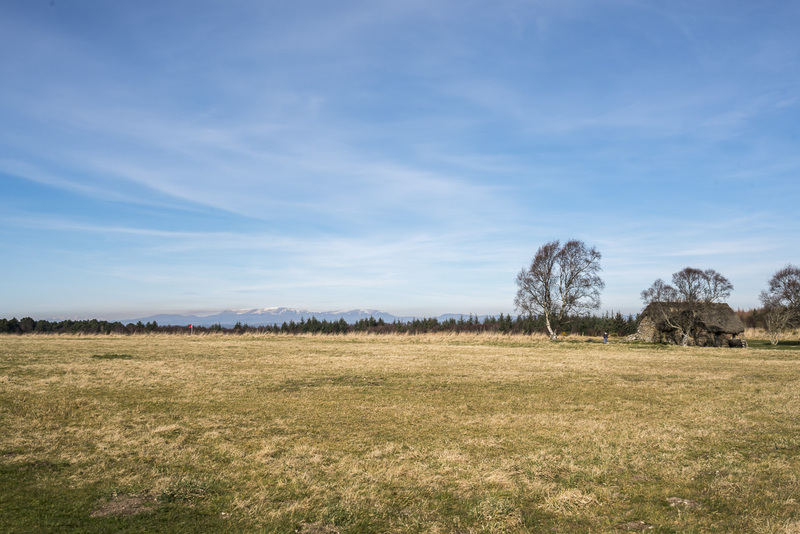 ‘Atmospheric’ is the key word to keep in mind when visiting Culloden; the site has been preserved in a way to invoke the ambiance of the battle and the history that followed. Visitors can stand on the moor where the final attempt at victory was made, walk the path towards the battlefield, and observe a surprising array of weaponry, clothing, and other artifacts. All of this makes for an excellent opportunity to channel the mood of the battle. The Battle of Culloden signified the last chapter in the Jacobite Risings war and took place on April 16th, 1746. The contenders, each fighting for succession to the throne, were the armies of two royal houses—the British government (Catholic), and the Jacobites (Protestant). The battle was a quick and bloody ordeal (and somewhat controversial), and proved to be a pivotal moment that would determine the future of Britain, and in many ways the rest of Europe and even the United States. Lasting only 60 minutes, the battle left over 2,000 Jacobites and 300 British troops dead. As a result of the British government’s victory, the culture of the highlands that had been in place was dismantled. 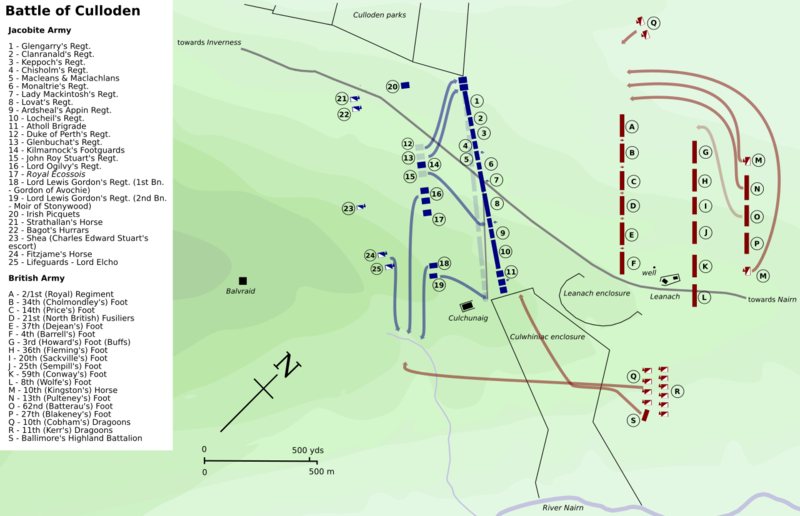 To this day, the Battle of Culloden is still somewhat of a sore subject; the two armies are said to have been ill-matched in terms of experience and weaponry, and on the day of the battle, the Jacobites were said to have been tired, hungry, and cold. Since then, the controversy has continued; the battlefield has been used for a number of purposes that were not always accepted. In 1835, a road was built through the mass graves of the clans; then it was turned into a conifer plantation; in 2014, a plan to build homes on the battlefield was rejected due to the sensitive nature of the site. Eventually, a memorial cairn with headstones to mark the original graves was erected—and that still stands today. 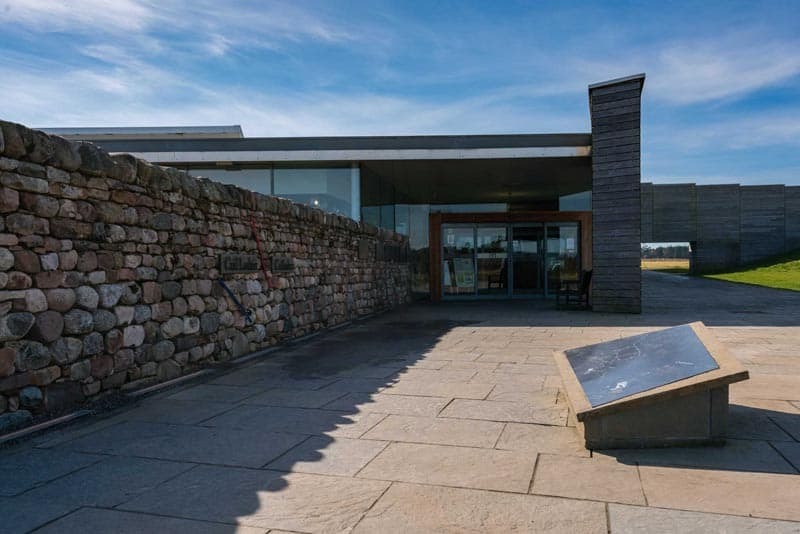 The first visitor center at Culloden was originally built in 1970, with various extensions and renovations taking place over the following years. 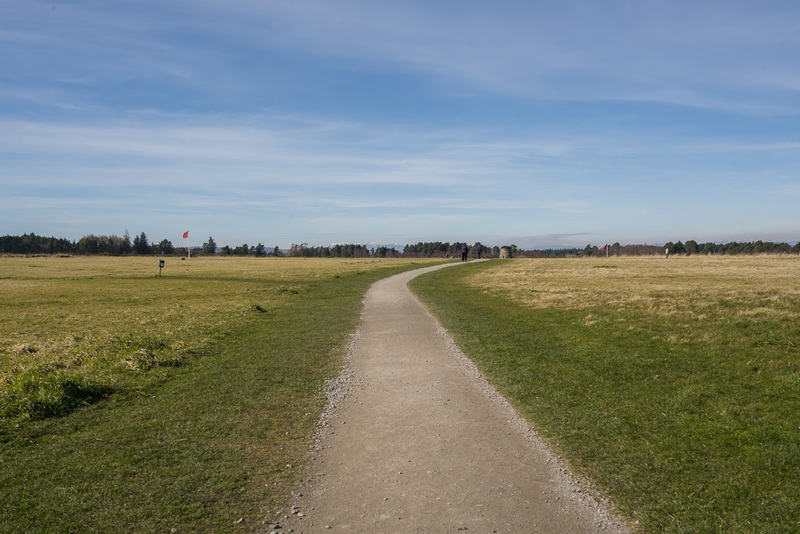 Today’s Culloden Battlefield is a somber, poignant reminder of a vicious war, and the visitor center that has been built next to it is tasteful, modern, and offers excellent information without overshadowing the actual site. As you make your way towards the visitor center, you’ll be guided to follow an informational trail through history leading up to the battle; interactive panels give detailed explanations and voiced commentary of each important point along the war’s timeline. There’s also a room with a 360-degree audio/visual presentation of the battle that really brings to life the battle’s grim energy. On a more light-hearted note, the visitor center houses many artifacts that are available for viewing (and some for purchase in the gift shop). Once you exit the center and make your way outside, you’ll notice that the former start positions of the two armies are marked clearly in red and blue flags. The trail into the battlefield is pretty self-explanatory, dotted by a number of large stones that are the gravesites of fallen soldiers. 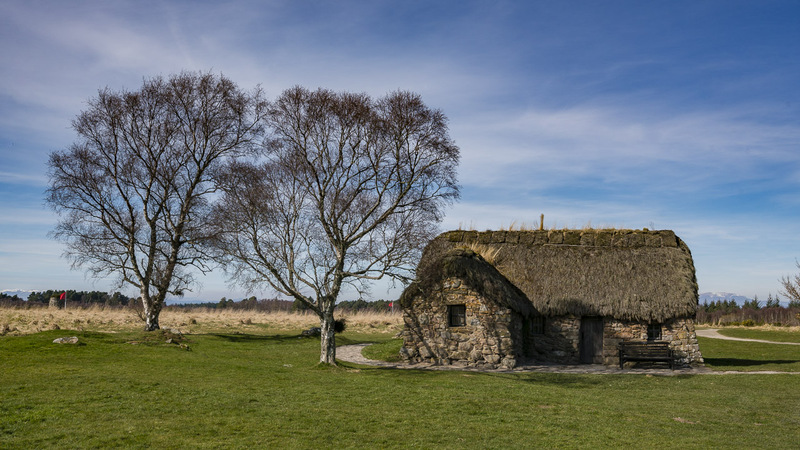 A trip to Culloden Battlefield should be taken with a quiet, still frame of mind rather than one that is awe-inspired or wanderlusting—visiting Culloden is about acknowledging a difficult part of history, and one that still reverberates today in the hearts and minds of the Scottish. Definitely opt to have the GPS-triggered device with you as you make your way through the battlefield, as the site can get a bit confusing without this guidance. This device also includes an audio commentary that really adds to the whole experience. To immerse yourself even further, the visitor center offers regular living history presentations that visitors are encouraged to take part in. Make sure to watch the film in the visitor's center. It puts you right in the center of the epic battle. After all is said and done, you can browse the rather impressive gift shop, stop for a bite at the in-house café, and return to your Scotland adventure a bit wiser and appreciative of the challenges it endured on its road to the fabulous place it is today. 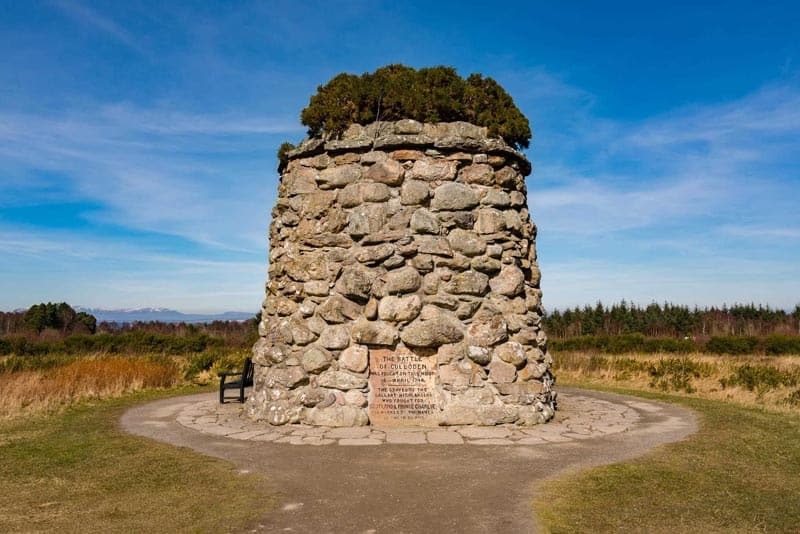 And if you’re lucky, you might be able to get wind of more than a few ghost stories about Culloden, which is also said to be Scotland’s most haunted location (rumor has it that a battle-worn Highlander is sometimes seen by the memorial cairn). She is a regular contributor to The Planet D.
9 Responses to "Culloden Battlefield, Scotland: An Immersive Tribute to an Epic Battle"
Sadly the wistful wilderness of Culloden will not be with us much longer. The developers are moving in to build the first 16 houses of what in due course will no doubt become an encompassing housing estate. If you care about this sort thing (It’s a trend in England, the USA and many other places https://mechtraveller.com/2018/09/another-attack-on-a-historic-battlefield-site/) then make a noise! Great post. this blog has very useful and nice information. Interesting places in Scotland. I had never spoken of this region. I find it quite interesting for tourists. I will put it on my list for anyone who knows in the future to know during the travel routes that I do every year. Hullo, just a wee correction, the Jacobites were Catholic & vice versa. Thanks for sharing the tips, must say the site is well preserved for the history that it has witnessed. Ghosts or not, it just adds into the mysteries aura of this place.